According to the abortion industry, abortion is a force for social good. A woman facing an unplanned pregnancy gets rid of the “problem” — her preborn baby — and she can supposedly go on with her life and be happy. Abortion can lead women to happiness, they say, and post-abortive syndrome obviously doesn’t exist, either. 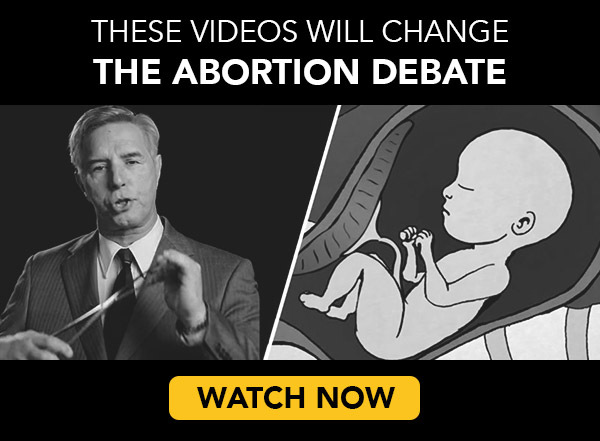 But the reality is quite different from this pro-abortion fantasy. The Journal of American Physicians and Surgeons just published a new study in which they interviewed 1,000 women who had abortions in every state except Hawaii. The women were asked, “What are the most significant positives, if any, that have come from your decision to abort?” 32% of women said there were no positives at all, while an additional 22 percent of women did not answer the question. A majority of women — 60 percent — also said that they had their abortions to make other people happy, and 75 percent said they were pressured into having abortions. The study also found that women often needed counseling after having an abortion. Dr. Jane Orient, managing editor of the Journal, explained in an interview with OneNewsNow. “Before the pregnancy that led to an abortion, only a very small number of women had had any type of psychiatric or psychological care or counseling – and afterwards the great majority of them had to have some sort of counseling for things that were related to their emotional reactions,” she said. This information reinforces what many in the pro-life community already know: that in addition to taking the life of a preborn child, abortion is harmful to women, too. The overwhelming consensus in the medical literaure is that women are at high risk for negative psychological consequences after having an abortion, including depression, anxiety, drug and alcohol abuse, and suicidal behavior. Women also have spoken out about how they regret their abortions. Post-abortive women need support and compassion. And if you are struggling after having an abortion, there are resources that can help you. Organizations like Rachel’s Vineyard can help with healing, and counseling is also available. If you are feeling pressured into an abortion, you can find resources to help you here. If you have already begun the abortion process and have changed your mind, you can visit AbortionPillReversal.com or call the 24-hour, nurse-staffed hotline at 1-877-558-0333.